G&P have stepped into the realm of AEGs with a recoil kit inside. Realistic as well catching the eye of a lot of players out there. What is the significance of a recoil kit in an airsoft replica? aim and prove less accurate in the end. from red dots,grips, panels, etc. The G&P BIO Infected Silencer you find at front is a power up kit. More orl less up to 45% increasement. Please use max a 7.4 V battery when operating this AEG. so take care of it! 3 Prong Steel Flashider Blue Finish Burnt, L, Clockwise. BIO Infected CW Silencer 200mm. Marine Battery Stock II Shorty. 130bb Bal Bal Mid Cap Magazine. 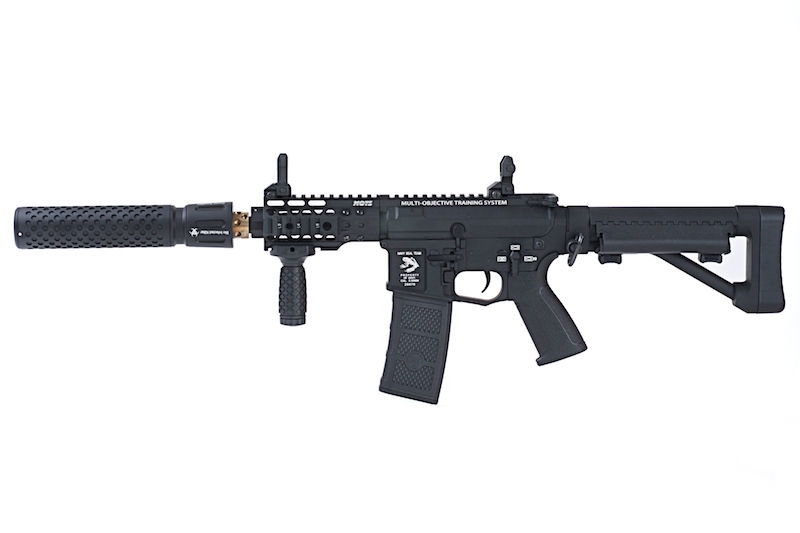 M140 G&P High Torque Motor.